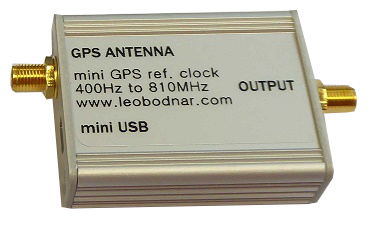 A new mini version of Leo Bodnar's popular low jitter GPS Clock - designed for Users with a limited budget or space restrictions, whilst still delivering accuracy and performance. How to make high accurate precision frequency with the VNWA Thanks to Kurt Poulsen for preparing this report and sharing his expertise. How to set up the Mini GPSDO as an External Clock Reference for the VNWA 3EC: Guide to setting up Mini GPSDO as external reference clock, instead of internal VNWA TCXO when taking VNWA measurements. 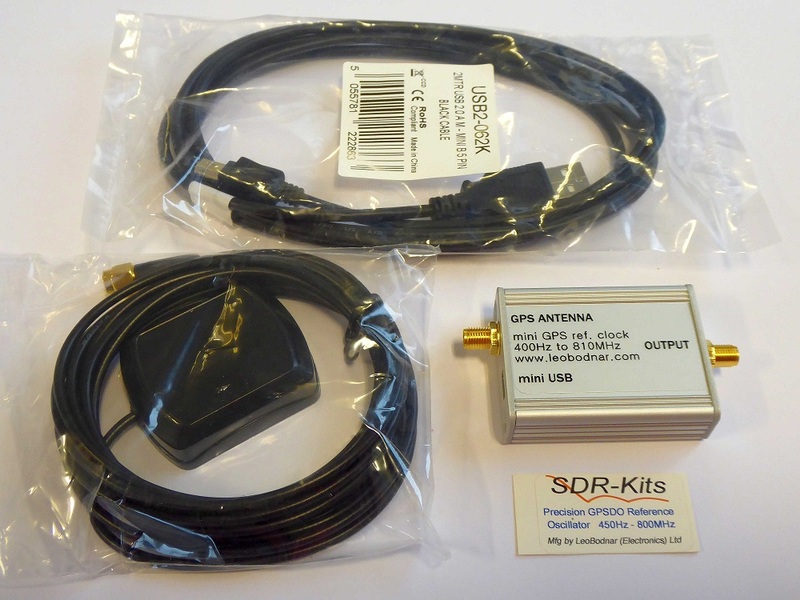 USB powered, this instrument is the ideal frequency standard for supplying an external reference clock signal to the DG8SAQ Vector Network Analyzer to make Frequency and Frequency Difference measurements with accuracy approaching 1e-10 and frequency measurements (dF) in the mHz (milli Hertz) and even down to the uHz (micro Hertz) region. Light and portable, the Precision GPSDO Reference Oscillator can be used as an Universal Reference Clock for most other Instruments and Applications which up to now would require a bulky and expensive Rubidium Clock. 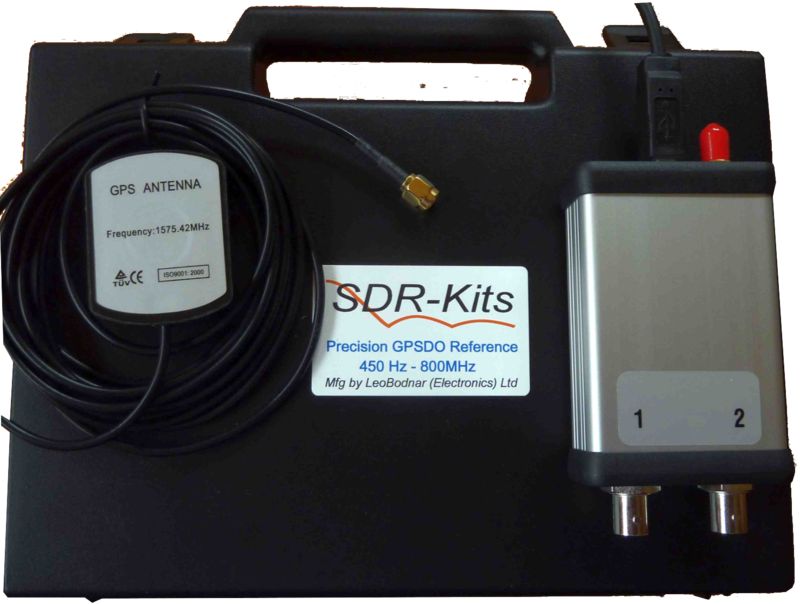 Two synchronised low-jitter reference clocks locked to GPS signal, Digital PLL allows main output reference frequency to have almost any value between 450Hz and 800MHz. Two outputs can be individually enabled and set to different frequencies. Second output frequency depends on the first output. If both outputs have the same frequency their relative shift can be adjusted. 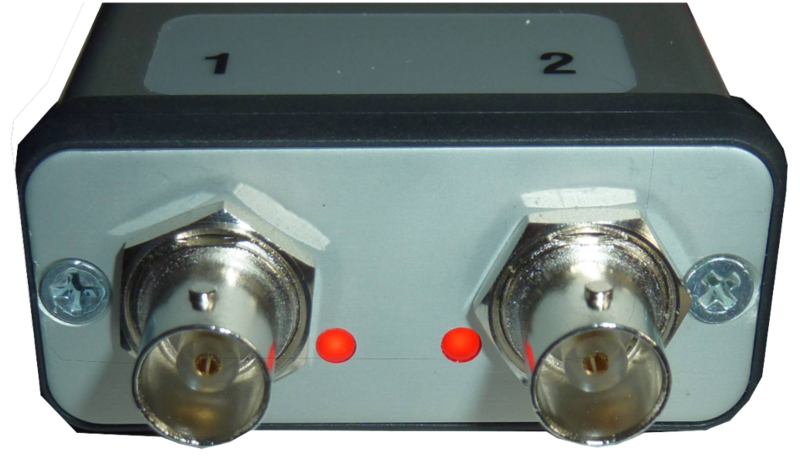 This can be used, for example, to generate two signals with 90° phase shift for use in I/Q mixer. Both output signals are at 3.3V CMOS levels with 50 Ohms characteristic impedance. Their output drive levels can be adjusted. How to set up the GPSDO as an External Clock Reference for the VNWA 3EC: Guide to setting up GPSDO as external reference clock, instead of internal VNWA TCXO when taking VNWA measurements.